Christopher Preister, Rileigh Mapel, Emilie Kelley, Katie Goodwater and Emily Pelster. Not Pictured: Trey Zoucha, Destiny Umbarger and Shanae Baker. The school announced the first semester honor roll in three sections. The Principal’s Honor Roll (All A) includes 29 students in the freshman through senior classes. 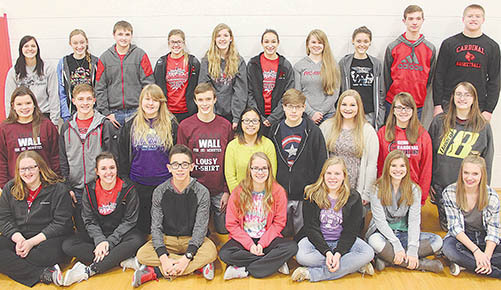 Regular honor roll includes 25 students who held an average of 94 percent or higher with no grade lower than 88 percent. The honorable mention list includes 55 students. They held an average of at least 88 percent, with no grade lower than 80 percent.